Can the crop's glory days be revived? 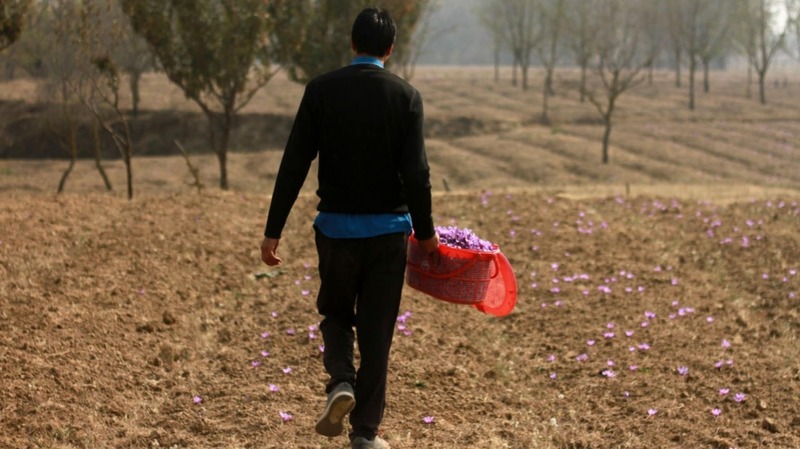 Against a backdrop of bare mountains and vast hillocks of brown earth — the latter randomly shaded with almond trees — Tariq Ahmad Reshi, walks through a maze of saffron beds to pluck the flowers. 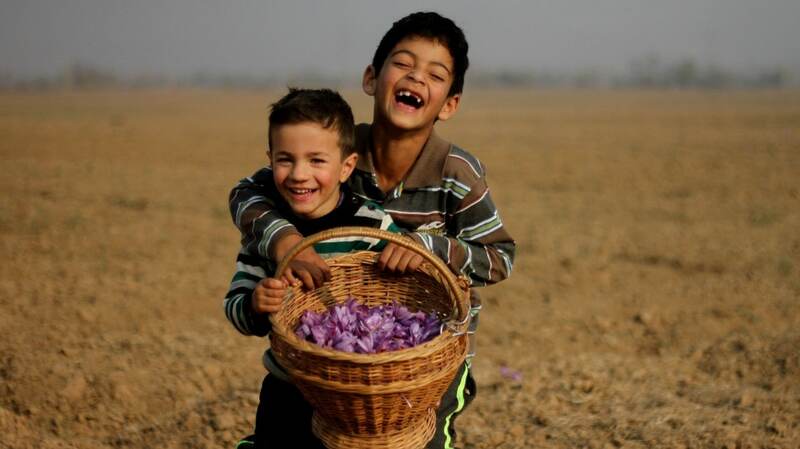 He holds a half-full wicker basket, and manages to pluck a few saffron flowers. There are barely any of these purple-coloured flowers in sight — a far cry from previous years, when the fields are usually full of them. With no traces of the flowers and winter ahead, Tariq says he is expecting his lowest-ever crop yield this year. 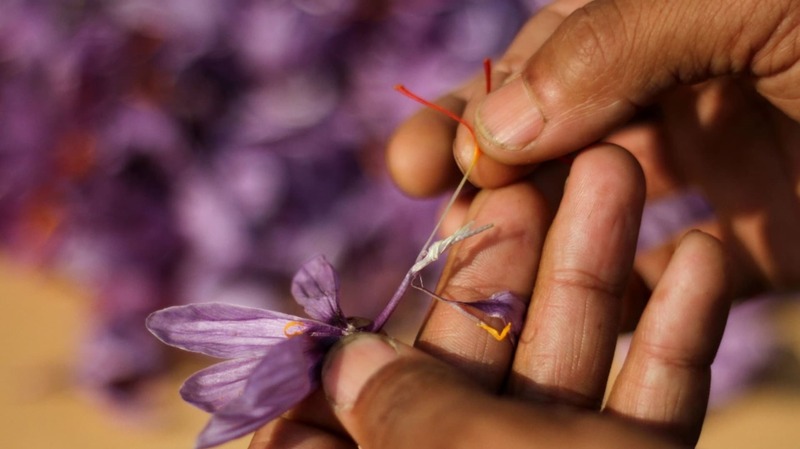 Saffron growers usually pick three-four batches of flowers in one season; this year, they've not received even five percent of the crop. “The harvest season has almost ended and we haven’t received flowers equivalent to the first batch,” Tariq says, then adds: "I am worried about the future of the crop”. 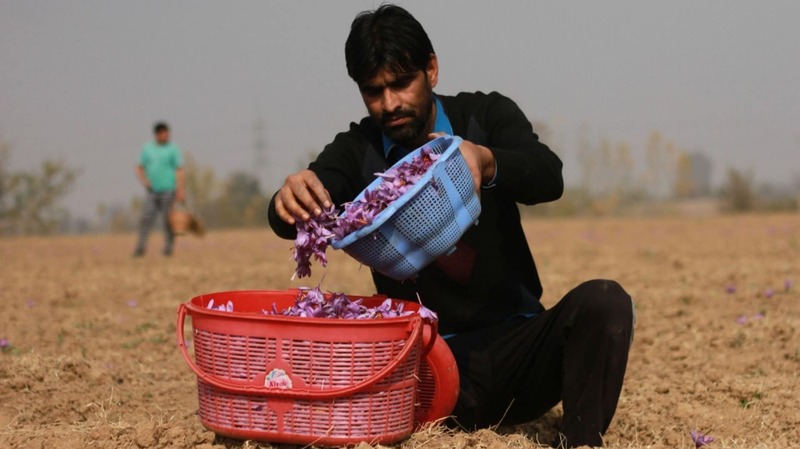 For his 7.5 acres of land, Tariq has plucked a mere 3 kg of flowers, which in turn will give him only 3-4 tollas (one tolla is 10 grams) of saffron. Last year, he received more than 100 tollas. "This year I will not even earn back the money that I spent on labour,” he rues. 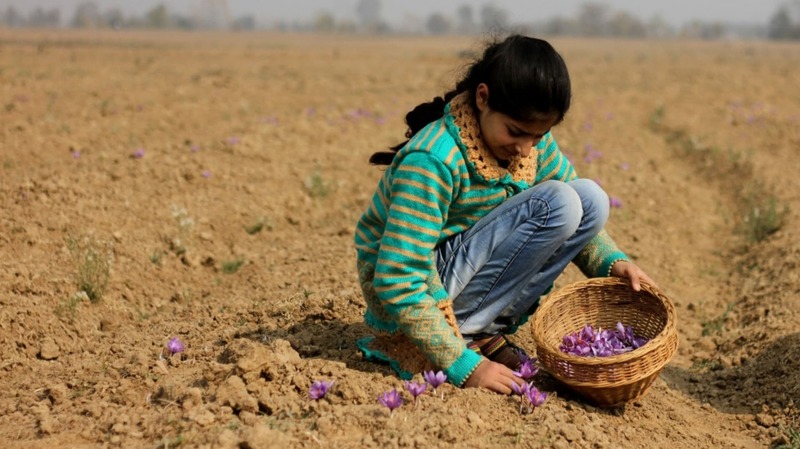 Saffron, perhaps the best known spice from the Kashmir Valley, is a purple crop that blooms every fall in the uplands of Pampore, approximately 13 km southeast of Srinagar. 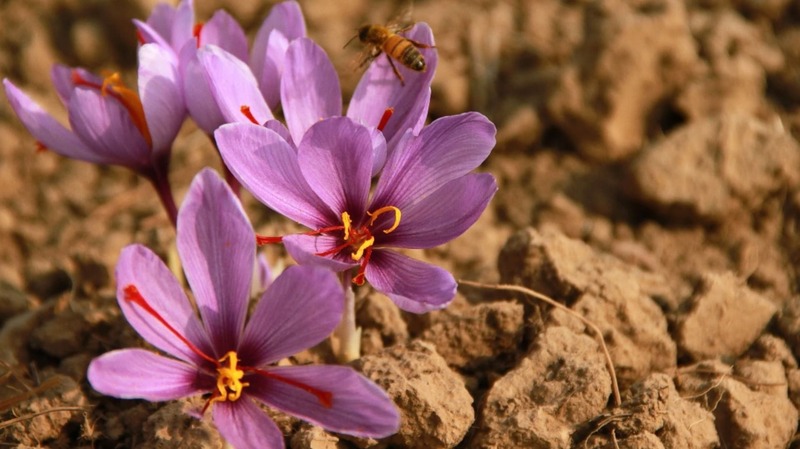 Harvesting of the crop lasts for 20 days (this year, from 22 October to 15 November) and when the saffron flowers appear, their overpowering scent turns the dry, uninviting plateaus into a rare and wonderful garden. But the lack of flowers this year has turned the fields into deserts, plunging the growers into despair. Experts hold the prolonged dry spell responsible for the low crop yield as they claim that inadequate moisture has reduced the flower density. 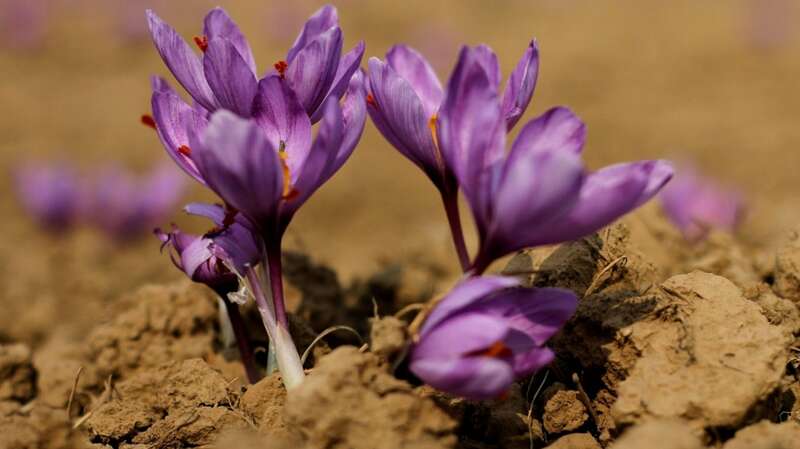 “Saffron is a very sensitive crop and any change in the weather affects it. It needs water before harvest and during the post-harvest period. It needs irrigation at a specific time and it did not receive the necessary water,” Dr Mudassir Ahmad, a research associate at the Sher-e-Kashmir Agriculture University of Science and Technology said, adding that for the last two-three seasons, the crop has not been getting appropriate amounts of water, reducing the flower yield. 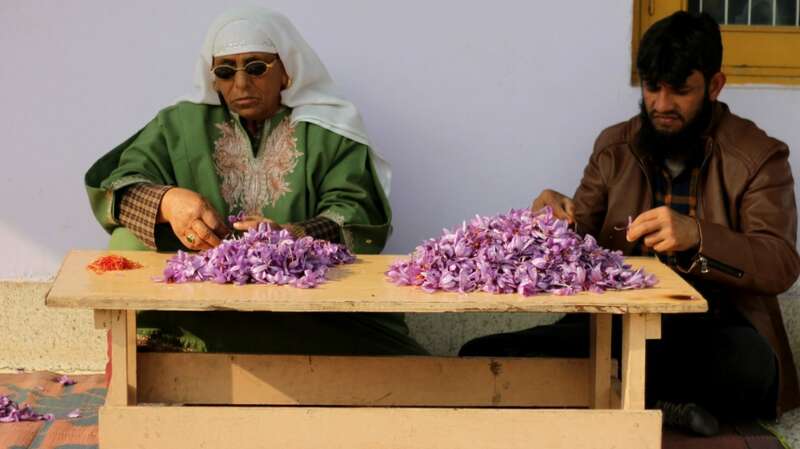 Mudassir says that once the saffron plant has been placed in the field, it will continue to yield flowers for 14 years, without any help from the cultivator — with new bulbs being produced and old bulbs rotting away. Planting is usually done in July-August, and it is at this time that water is most needed for good produce; it is the lack of water that has affected the recent harvest. Deputy director of the Meteorological Department Mukhtar Ahmad says that climate variations in the Valley have led to prolonged dry spells in the post-monsoon period over the last 2-3 years. “What we see today is the cumulative effect of prolonged dry spells during the last three years,” he said. The post-monsoon season starts from the month of October, and lasts up to to early December. As per the MET, the Valley should ideally receive at least 94 mm precipitation. This year, however, Kashmir has received barely any rainfall (about 2 mm) and during 2015-2016, the rainfall has been below average with just 3.6 mm in the last year. The rainfall deficit has directly affected the yield of saffron. In 2012, from which year the precipitation registered a decrease, Tariq had sold his produce to a local trader for Rs 4.3 lakhs. “I had spent nearly Rs 1 lakh on fertilisers and labour,” he explained. From that time, production has come down drastically to 90 and 70 tollas respectively, in the last two years. “The selling price was relatively high, but our production could not cover even the labour cost,” he said. 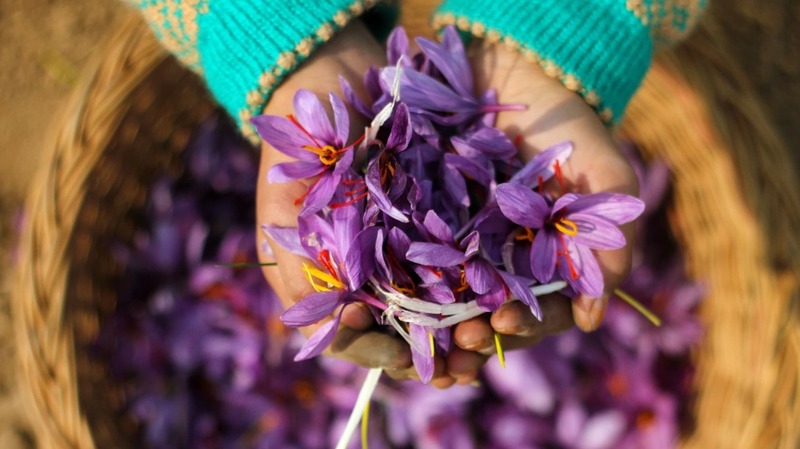 India is among the largest producers of saffron in the world, and much of it comes from Kashmir. 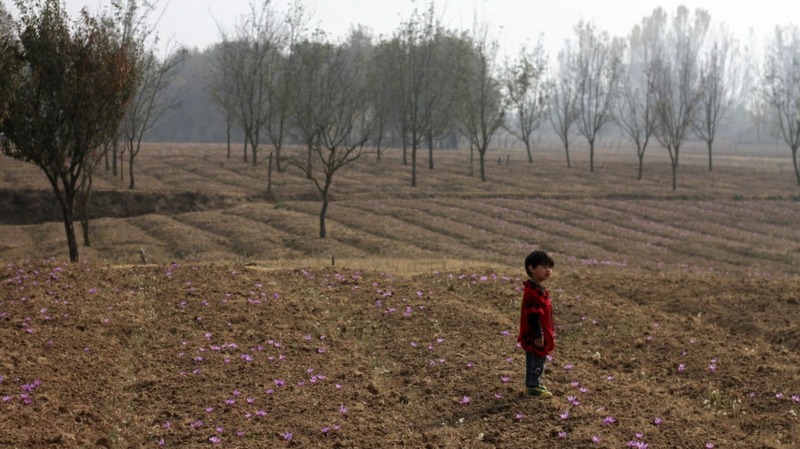 With diminishing land cover and dwindling yield, saffron production has drastically declined over the years. 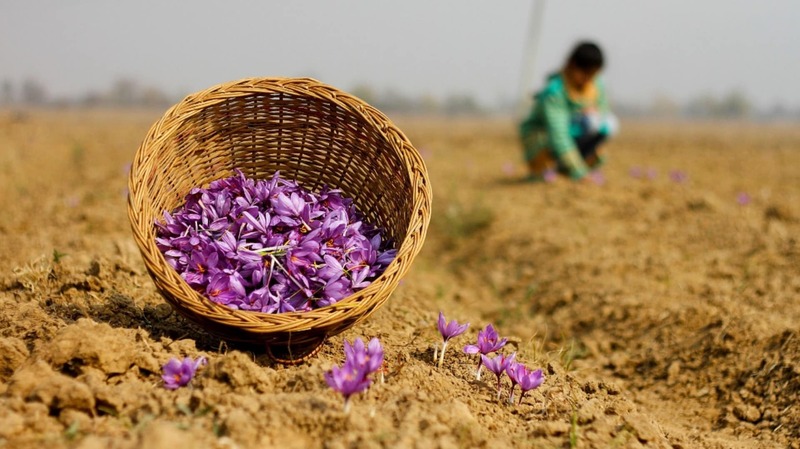 In 1996, the land under saffron cultivation was 5,400 hectares with a collective yield of 16 metric tonnes. As per the records of the state agricultural department, this is the highest yield recorded so far. The per hectare yield during this period was 3 kg. In 2006, the areas under cultivation and the yield fell drastically. With just 2,800 hectares of cultivable land available now, the total produce fell to just six metric tonnes. 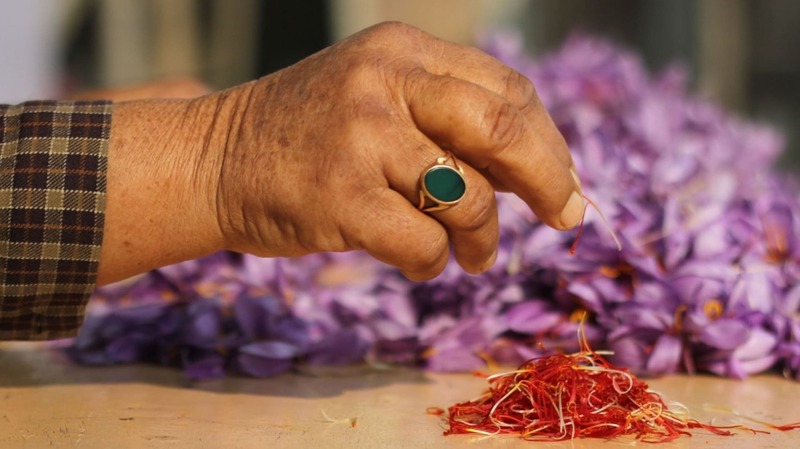 In order to increase saffron production and to bring more land under saffron cultivation, the Government of India launched an ambitious 400-crore National Saffron Mission in 2010, in partnership with the state, with the aim of raising production from 3 kg to 5 kg per hectare. The scheme is nearing its end but has failed to make an impact on the total yield. One of the components of the mission was installation of the sprinkler system of irrigation, to manage the dry spells affecting the area. In eight years, the government has drilled nearly 101 bore wells needed for the irrigation of saffron field, but the majority of them lie defunct. Officials in the agriculture department say that the mission envisaged establishing 126 bore wells with full project support. “But till date, only 101 bore wells have been dug. And only six of them are fully functional,” said an official. 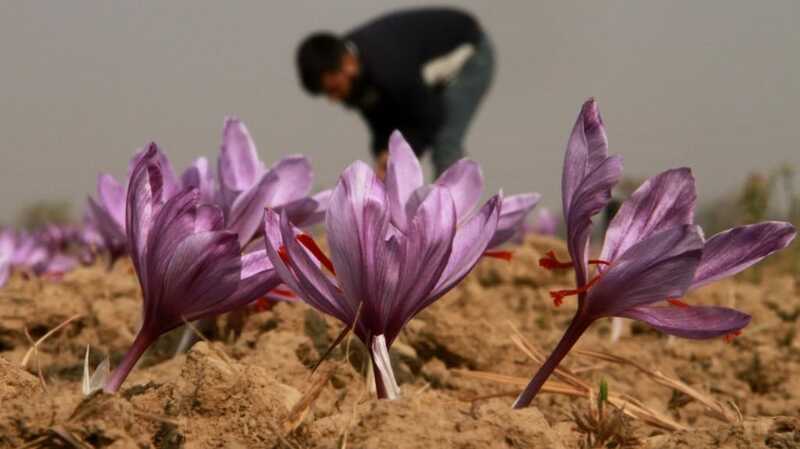 Altaf Ahmad Andarabi, the director for the National Saffron Mission, admitted that the failure of the authorities to provide irrigation facilities to growers led to a 70 percent drop in saffron production. “I think the outsourcing did not work well. The digging of bore wells and all the other mechanical aspects of the work was outsourced to the Mechanical Engineering Department, but they failed to deliver on time," he said. Andrabi added that only the irrigation part of the Mission failed and other aspects have been implemented successfully. These include the introduction of new farming techniques (like sowing a corm of more than eight grams for better production). Instead of 15 to 20 plants per square metre, farmers were advised to sow 50 plants. This showed results as the production jumped from 10.40 metric tonnes in 2010 to 16 metric tonnes in 2016. Mudasir, however, says that sowing bigger corms only showed results in the beginning, with production drastically declining later. “The problem is, when you sow bigger corms, it gives you a good yield for some time. But then the bigger corms undergo the biological process of vegetative reproduction. The bigger corm desiccates and only the secondary corms produced are left,” he clarified. “The daughter corms will not give good produce in the first year and that affected the overall production. It was a not a well-thought out plan.” Traditionally, corms of differing sizes were sowed. Mudassir feels that the real issue for saffron's fall from grace is the lack of a channelised market structure. 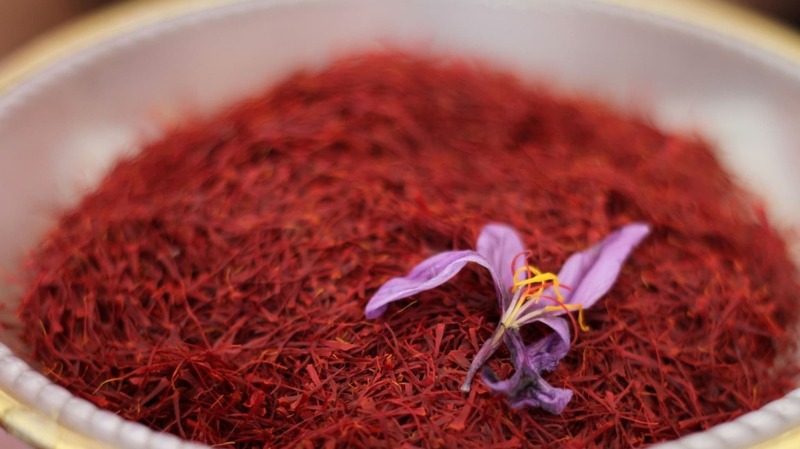 “There is no specific market structure nor is there any specific range within which to sell the saffron. Variation of rates discourages the growers from cultivating the crop,” he says. In order to provide better marketing and quality control facilities to the growers, the government is building a hi-tech spice park in the area. With a total project cost of 27 crores, this park will have common infrastructure for sorting, grading, packing, a quality control lab, an e-auction center, garbage or waste utilisation — among other facilities. However, even as the National Saffron Mission is nearing its end, the spice park remains incomplete. At present, the growers have to get their produce tested at either Jammu or Delhi.